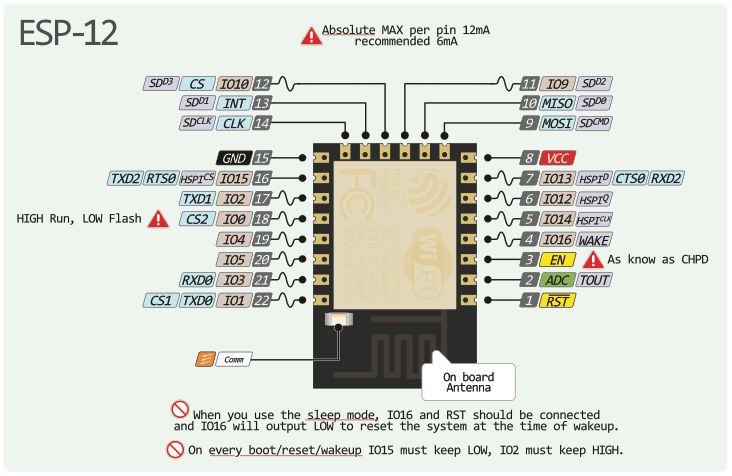 If you do not have a “in circuit” programming possibility, it is quite hard to connect every pin just for programming. 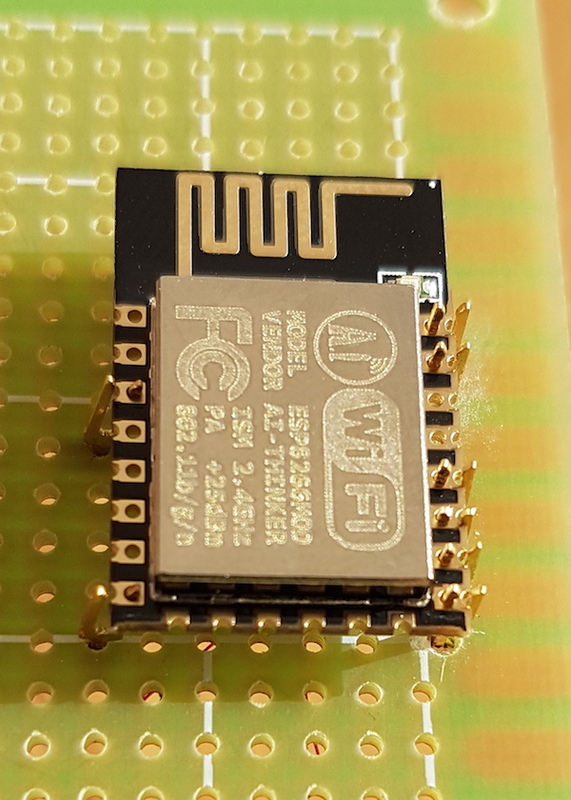 That’s why I looked for something like an adapter to put the esp in just for programming like a eprom programming device, but didn’t find one. So I decided to build my own. So I take a 1 row female header and stripped the plastic case apart so only the golden spring parts are left. 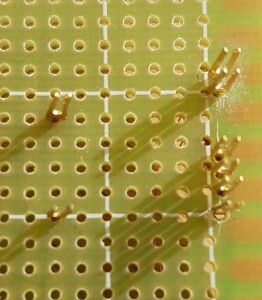 Placing them onto a breadboard is also not that easy because the esp uses a 2mm raster not the standard 2.54mm. But with a few additional drills everything fits in the end. For soldering it is best to keep a (maybe broken) esp already plugged in so every pin ist automatically in the right position. 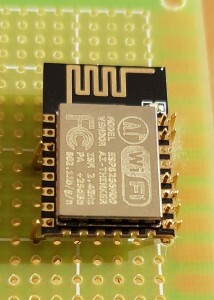 So with this little adapter one can plug an esp-12 in, flash new firmware and pull it out again. Dieser Beitrag wurde unter Electronics veröffentlicht. Setze ein Lesezeichen auf den Permalink. I like this idea. Now I have something to do with all those pins laying around from cutting down female headers! Thanks for the idea.